Would you like to visit the United Kingdom? If the answer is yes then you will need to obtain visitor entry clearance (“Visa”) before you will be allowed entry into the UK. The visa will be valid for up to six months only. We can provide assistance with the application in many ways ranging from helping you complete the application, assisting a sponsor with an application or simply answering any queries you may have. You can apply for permission to settle in the UK providing you have lived in the UK for a certain length of time (between two, five, ten and fourteen years). This is known as ‘indefinite leave to remain’. The length of time you will have to reside in the UK and your right to apply for indefinite leave to remain will depend on your current immigration category. Please contact us if you wish to know more about applying for indefinite leave to remain. If you are currently outside the UK you will need to obtain an entry clearance (visa) under the relevant category before you can enter the UK. If you are present in the UK under a different category then you may be eligible to switch categories from your current visa. Please note this will depend on the conditions of your current leave to remain in the UK. Please contact us for more details about applying under this category. If you are settled in the UK or a British citizen or even someone with temporary permission to stay in the UK you may be able to bring your child/ children/ adopted children who are aged under 18 to live in the UK with you. Please note that this category is different to that of a child visitor, as a child visitor will only be granted a visa for up to six months. Are you a parent, grandparent or other dependant relative of a British citizen or a person settled in the UK (known as your ‘settled relative’)? If so you can apply for permission to settle permanently here (known as ‘indefinite leave to enter or remain’). Before you do this you will however need to apply for entry clearance (visa) under the correct category. We can help you and your ‘settled relative’ prepare for the application for an entry clearance under this category. Please feel free to contact us today! Each form of British nationality has a different criterion that needs to be met. Please contact us today to see which category you may apply under. If you are in a relationship with someone who is settled in the UK or who is a British citizen or even someone with temporary permission to stay in the UK (students migrants or migrants working in the UK) you may obtain permission to enter the UK or to remain in the UK. Has you application for entry clearance or leave to remain been rejected? Do not fret. You still have the option to appeal the decision. If you choose to appeal your case will be put forward on your behalf to the Asylum and Immigration Tribunal. It will be here that an Immigration Judge will consider your application again and may reverse the decision in your favour. We understand that the process of an appeal can be stressful until an outcome is reached which is why we endeavour to keep you informed at each step of the process. We have an excellent team of caseworkers, solicitors and barristers who will be dedicated to provide a satisfactory outcome for you. Many of the applications for leave to remain in the UK can be made on the same day provided they are not complex. This will mean that your passport can be stamped with the visa on the same day! We are registered with the UK Border Agency and have access to a number of priority appointments before the general public. We will assist our clients with their applications and also attend the Public Enquiry Office (PEO) on their behalf. If you are looking for someone to assist you with a premium or same day appointment contact us today. If you are a national of an EU member state who is currently residing in the UK you can apply for your family to join you. The criteria your family members will need to meet will vary according to the nationality of your family member(s). Tier 1 of the Points Based System is the scheme for employment/self employment based immigration. Tier 1 is for highly skilled migrants, entrepreneurs, investors, and foreign graduates of UK educational institutions. To make an application under Tier 1 (General, more specific visas such as an entrepreneur visa are available) you do not require a formal job offer or a detailed business plan. Your application will be assessed on various attributes such as your individual qualifications, previous earnings, money which is disposable to you in the UK, experience gained in the UK and your age. You will also be required to demonstrate that you have met the English language requirement and that you have sufficient funds to maintain and accommodate yourself without recourse to public funds. Call us today to discuss whether or not you meet the requirements under this category and find out if you could receive an entrepreneur visa or other form of migrant visa. Tier 2 General – This is for Migrants coming to the UK or present in the UK with a skilled job offer to fill a gap in the UK workforce. Tier 2 Minister of Religion – This category is for people who would like to take up employment within their religion or faith communities. Tier 2 Sportsperson – This is for Migrants who are coaches and leading sports people who are recognised at the highest level internationally and will make a considerable input to the development of their sport. Tier 2 Intra company transfer – This is for Migrants who work for multi-national companies who are being transferred by their employer to the UK for either a long term or short term basis. In order to make an application under the Tier 2 category it is vital that the Migrant has a sponsor and a sponsorship certificate. There are also other essential requirements which vary in accordance with the type of Tier 2 application that is made, please contact us for more information. Under the UK Points Based System employers must acquire the Tier 2 Sponsorship Licence if they wish to employ skilled non-EEA workers from outside the EEA. Registration with the UKVI must take place to become an official sponsor. Employers who do not have a sponsor licence will be unable to hire new workers from outside the EU or extend work permits for current employees and employing Non-EEA nationals can result in financial penalties. We assist with the Companies must complete an online licence application and provide supporting documentation to meet the necessary evidentiary requirements. This must be supplied within five days of the initial application. Failure to submit all required documents will result in an application being delayed or rejected and further costs being incurred.Following the receipt of these documents, the company may then be subject to a compliance visit from UK Visas and Immigration, who will assess whether or not to grant the licence.Companies will also be required to comply with the illegal working requirements which states that all non-EU employees are required to provide documentation that proves their right to work BEFORE being employed by a UK company and copies of this information must also be retained by the employer. With our team of UK immigration specialists well-versed in all the document and evidentiary requirements that can be vital to a prompt and stress-free sponsor application. A migrant who wishes to study in the United Kingdom can apply under this category. The method you choose will depend on your age, and on the length and level of the course that you want to study. Not performing Sponsor Licence Compliance duties. As with most immigration matters, applications can be refused for the most minor of reasons, it is vital that your application is prepared correctly and in a bespoke manner. To avoid the Sponsorship Licence process dragging on for months in the case of a refusal, Starck Uberoi can assist from A-Z and will work closely with you towards acquiring sponsorship status. Fantastic service. Meera handled the sale of my property with the utmost professionalism and worked tirelessly to get it over the line. Will definitely use again and happy to recommend. I am very pleased with the excellent service I received from Meera and the whole team who dealt with my case. The price they charged was reasonable and the time they took to sort out everything was just 5 weeks which is lot quicker than I expected. Whole process of my house purchase went very smooth from start to end. Overall I am very satisfied and I would definitely recommend Starch Uberoi Solicitors to anyone. I had a fantastic experience with Starck Uberoi and specifically, Taj, who was incredibly diligent and efficient in handling my property transaction. Taj responded quickly and in full to any enquiries that I had (I was a First Time Buyer and needed some help and advice along the way) and was proactive in chasing information from myself and the seller's solicitors. It was reassuring to have someone managing that transaction who I could trust to work with integrity and efficiency, whilst encouraging interaction from all sides (seller's solicitor, agent, myself). Starck's pricing structure was also extremely transparent. My final fee was not a penny more than initially quoted, which I perceive to be rare within the industry. I would definitely recommend taj (and Starck Uberoi) to anyone who needs to instruct a solicitor/conveyancing professional. I would like to say thanks to Taj Rayat for helping me out with my new property completion. Very professional, friendly , reliable and approachable lawyer. Like the way the whole team works together at Starck Uberoi. Had a fantastic experience with Starck Uberoi, but most especially with Rikita. She was brilliant from start to finished, always keeping me in the loop and answering any questions I had. I really felt she had my best interests at heart and represented me well in all matters in buying the property. She was always on hand to deal with any queries or concerns, and stuck to the agreed timeline, always clearly stating when she would get back to me. She was both professional and personable, which really made the process easier and less daunting. Thank you for being a star Rikita! Had a brilliant experience with Starck Uberoi, particularly with Daniela during purchase of a property. From begging till end of the purchase process Daniela was professional, calm, responsive and explained everything clearly to me. I would definitely reach out to her again if I need her assistance on another occasion and definitely recommend her if you want your case to be handled with the utmost professionalism and extra care. Thank you very much Daniela. Fast and pragmatic response from James I on a probate issue. Excellent service and a great help during a stressful time. We used Daniela Litsova from Starck Uberoi on a property purchase recently. She was super efficient, was very contactable on the phone and the whole process is way more streamlined than previous experiences. I recommend !! My solicitor Daniela Litsova was diligent, prompt and worked really hard to ensure completion despite extra problems created by my mortgage company. I can highly recommend Starck Uberoi. I have worked with Simarjeet over the past few months and my experience of the service has been that they are extremely professional, efficient and have great communication. Simarjeet was very thorough and always kept me updated with all the important information and progress all the way through. Outcomes have been very positive and with fast results. Thank you. An absolute pleasure. I was super delighted with the services I received. The team is super professional and knowledgeable about visa rules and regulations. I definitely recommend! The Best conveyancing service ever! Above the standards! Was a pleasure having Neringa as our conveyancer. Would recommend to anyone and you wont be disappointed, I promise. Very caring and attentive to details service by the immigration team, specifically, Simi who carried us through the residence permit application faultlessly, thank you guys for your great work!!! We have used Starck Ubero for buying our first house. Our contact person was Daniela and she has been very helpful through out the full process. She was always reachable and very helpful with everything. I will definitely use them again, specially if Daniela is still part of the team in the future. I will definitely recommend them. Starck Uberoi provided me with an excellent and a very thorough service, their highly experienced conveyancing team managed to save me several thousand pounds and a potential nightmare! I also found the in-house Mortgage department very competative and informative providing me with a fantastic deal. Thank you for providing me with a stress free purchase of my new home, from start to finish the service was impeccable . I would highly recommend them to others. Really pleased with Starck Uberoi in resolving everything I asked for clearly, swiftly and with sensitivity. I highly recommend and also thank you Netsai for all your help and advice. Simi Dhanjal is a marvelous immigration Solicitor. Simi took all the pressure off dealing with a long complicated visa application and would highly recommend her to friends and family. We will definitely be using her again in the future for the next part of our Visa. We used Simi Dhanjal to assist with an immigration application. She was very thorough and approachable and made the whole process much less daunting. We would highly recommend her services. We look forward to working with her again for the renewal process. I would like to thank Simi Dhanjal and all her collegues at Stark Uberoi for the ama 3zing service provided to my sister, I will continue using their services and strongly recommend them to my family and friends, and indeed anyone reading this review in the hope of finding good advocates/solicitors. I can assure you that we received "human level" service. I have used this firm for two separate transactions 1. Property Purchase 2. Family Immigration Matter Taj, Thi and Simi have provided me with excellent customer service. This firm is recommended for all their services. You won't be disappointed. Many thanks! We happy about the service. Highly recommend solicitor Neringa from this company. The most professional and efficient service that I've received when purchasing a property. Would highly recommend to others. I chose Starck Uberoi over another similarly priced conveyancing firm because Taj answered my initial enquiries in a straight forward and professional manner and without any hard sell. Throughout most of the process to purchase what turned out to be a complicated leasehold property I dealt with Thi. What could have been a very stressful experience was made less so as I felt that my purchase was in safe and competent hands. As a first time buyer, and very keen to rush headlong into the purchase, Starck Uberoi made sure I was informed of all the facts first. I was, therefore, able to carefully consider my options before taking decisions. When the time came, exchange of contracts and completion day went by without a hitch. Our solicitor mysteriously changed midway through the instruction. However, our new solicitor [Daniela] did a great job, particularly considering she took over the case midway. She kept us informed of what was going on and explained things clearly. She appears to have done a very thorough job. 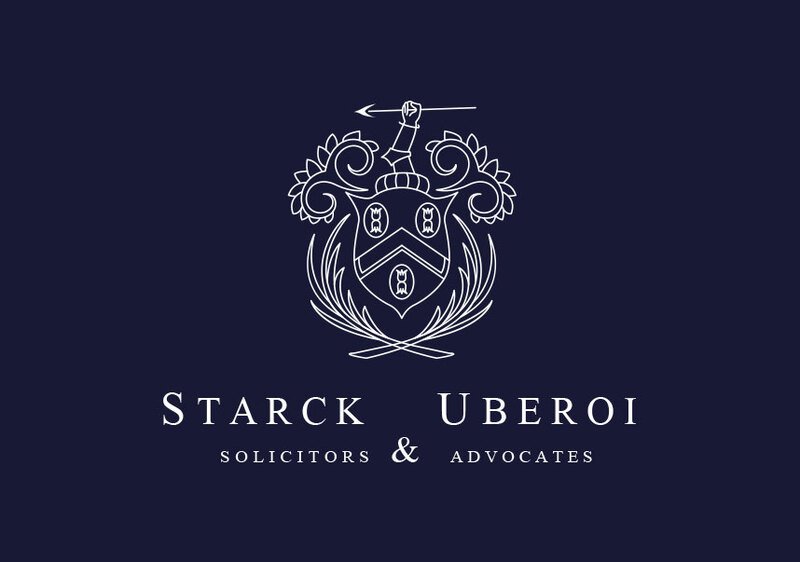 Starck Uberoi is the trading name of Starck Uberoi Solicitors Limited. 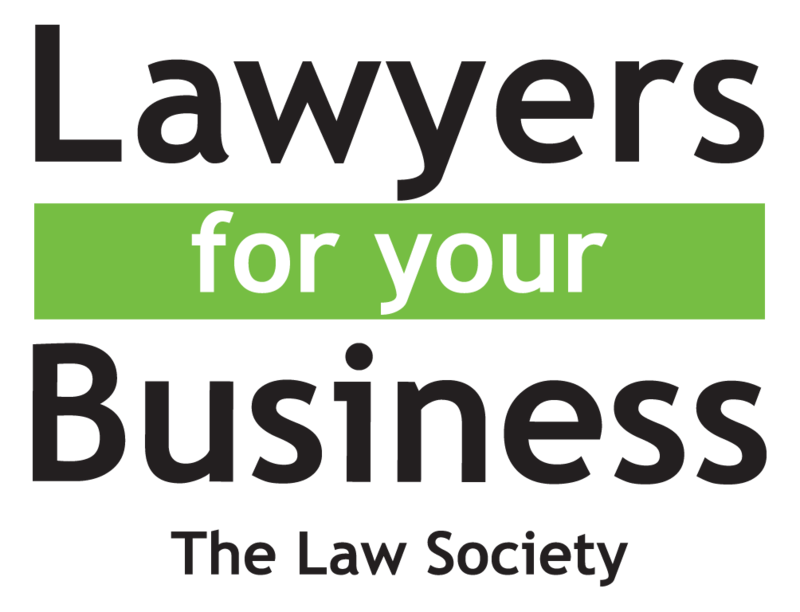 Authorised and regulated by the Solicitors Regulation Authority under SRA number 611703. Registered in England & Wales under number 8835676. VAT no. : 177503985. Registered office: 45 St Mary's Road, Ealing, London, W5 5RG. Click here to access the SRA code of conduct. List of Directors available for inspection at our registered office. We do not accept service by email. We use the term “Partner” to refer to a Director of Starck Uberoi Solicitors Limited.